Forks that pick up food, not germs! Self-feeding can be a messy affair, but you can do your part to keep some of it cringe-free. 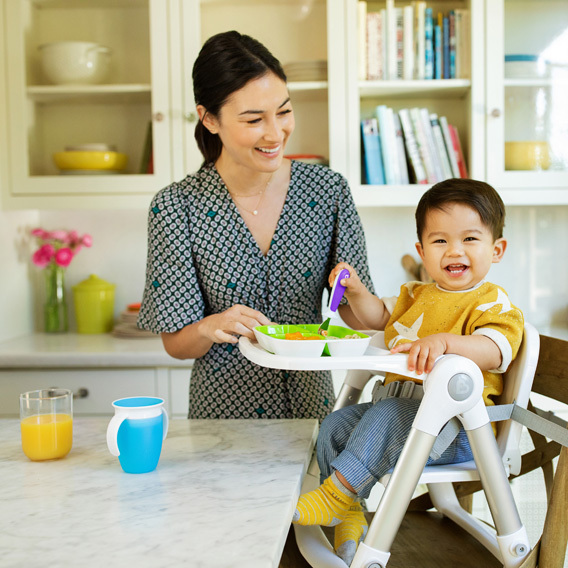 Level up your toddler's mealtime game with Raise™ utensils. These ergonomically designed forks fit their hands and mouths to a tee, and they come with an added bonus -- a base that keeps fork tips off the table (or floor). Some days, that's considered a major parenting win!